Is it worth trimming our tree? Your tree is a great investment in your property. Proper tree maintenance from the beginning is very important. Economy Tree Service will address any and all concerns, from the small landscape tree installed into new construction to the towering century oak that your grandpa planted! Many trees require particular attention at certain times of the year. 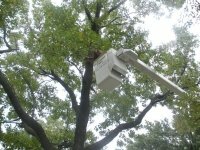 For Example, Oak tree’s should only be trimmed in winter and you should never Top a tree, If you see a tree service doing those things, then they are not professional, no self respecting Arborist will do this type of work. Use this as a tool when choosing a tree service. 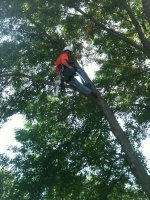 Proper tree trimming has many benefits beyond aesthetic appeal. Professional trimming for a newly planted tree can help control the shape and balance of a tree. A balanced tree promotes strength and health. You can also choose the direction of growth with good tree trimming maintenance. 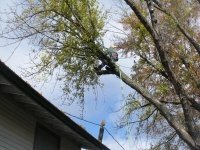 Tree trimming will promote growth of foliage, fruit and flowers and reduce the risk of broken limbs, disease and damage to your home and property. Special care should be taken for fruit tree trimming. Long fruit tree limbs can get weighed down as the fruit grows and cause limb loss. Broken limbs make the tree more susceptible to disease.